What causes mental illness? We've long blamed stress, trauma, and brain-chemistry imbalances. But a new theory is quietly achieving critical mass. 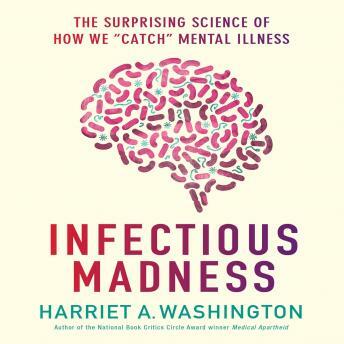 In INFECTIOUS MADNESS, award-winning science writer Harriet Washington reveals that schizophrenia, obsessive-compulsive disorder, Alzheimer's, and anorexia also may be caused by bacteria, parasites, or viruses. Weaving together cutting-edge research and case studies, INFECTIOUS MADNESS shows how strep throat can trigger rapid-onset OCD in a formerly healthy teen and how contact with cat litter elevates the risk of schizophrenia. Featuring a new afterword by the author, and rich in science, medical mysteries, cultural nuance, and evidence-based recommendations, INFECTIOUS MADNESS pulls back the curtain on a new paradigm with profound implications for us all.